Concert by four of the greatest Motown acts -- then and now: The Temptations featuring Dennis Edwards, Martha Reeves & The Vandellas (Lois and Delphine), The Four Tops, and Mary Wilson of The Supremes! This is a great show especially for the milestone Summer of 2017 at famous Coney Island in Brooklyn, New York! The Ford -- quite an appropriate automotive name for Detroit-based musical artists -- Amphitheatre is brand-new and state-of-the-art! The solid gold Motown concert is on Thursday, August 24th, 2017 @ 8 p.m.
Musical Note: There is only one artist who had a song entitled "Coney Island"! 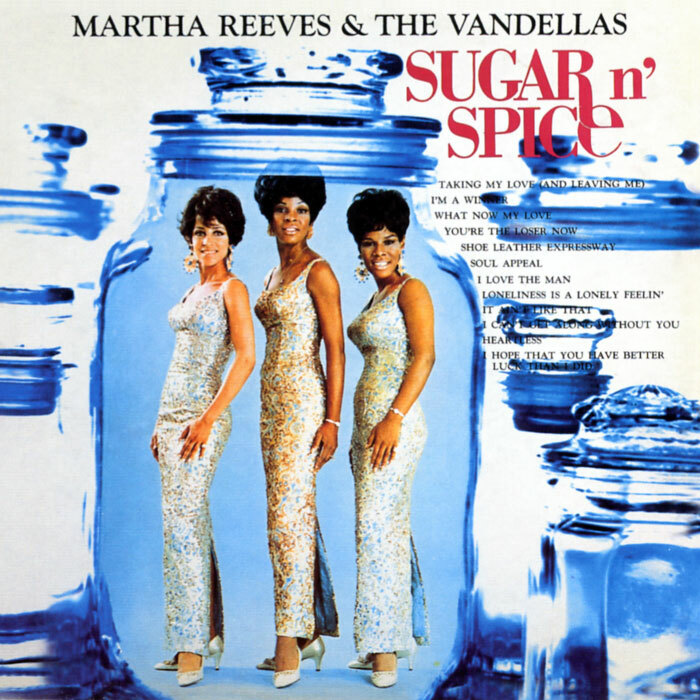 It is Martha Reeves & The Vs! "C.I." was written by the popular Frank Wilson, et al. 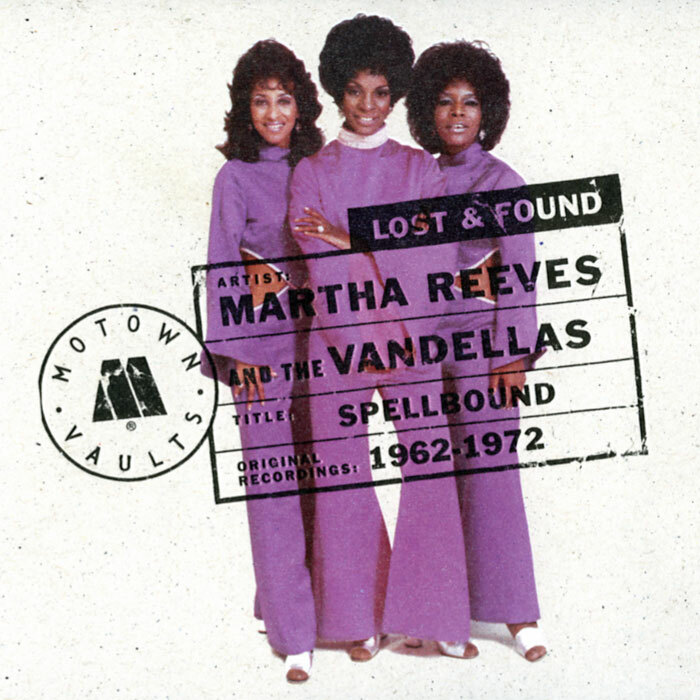 The song is included on Martha Reeves & The Vandellas' outstanding "Lost And Found: Spellbound" album! 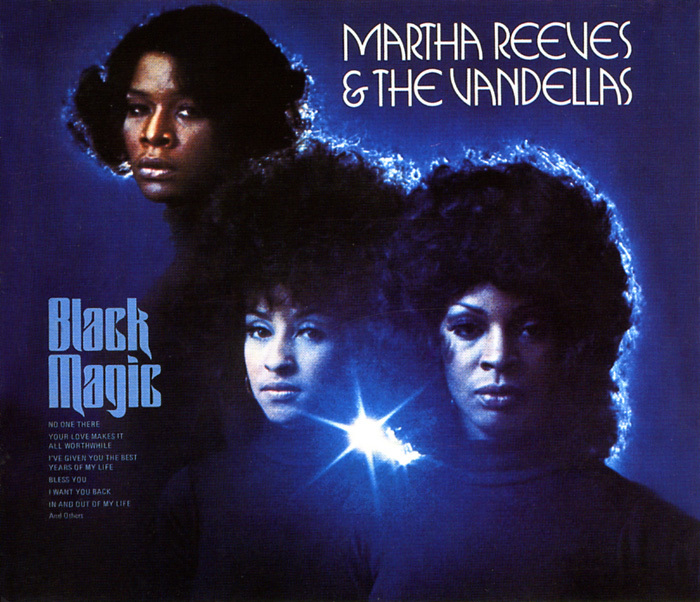 Join many members of the National STONEWALL Rebellion Veterans' Association ("SVA") at a hit songs concert performance of the legendary Martha Reeeves & The Vandellas (Lois and Delphine) at B.B. King's Nightclub on West 42nd Street near Times Square in Manhattan on Saturday, March 18, 2017 at 7:30 p.m. (Doors open @ 6 p.m. for dinner and drinks.) "We're Ready For Love!" Members of the legendary STONEWALL Rebellion Veterans Association (SVA) annually welcoms back Martha Reeves and her Vandellas to the city where "Come And Get These Memories", "Heat Wave", "Quicksand", "Dancing In The Street", "Nowhere To Run", "My Baby Loves Me", "I'm Ready For Love", "Jimmy Mack" and "Honey Chile" were all #1 on either the pop charts or the R&B charts or both!! The SVA's contingency, including handsome S.V.A. office manager AnDre Christie, is gayly hosted by Williamson Henderson. The 'one night only' show is on the best night, Saturday, February 21st. B.B. King's Nightclub is at 237 West 42nd Street, off Times Square, between Seventh Avenue and Eighth Avenue. Doors open @ 6 p.m. The S.V.A. is having its wonderful and funderful pre-show dinner and drinks before the show at BBK's. 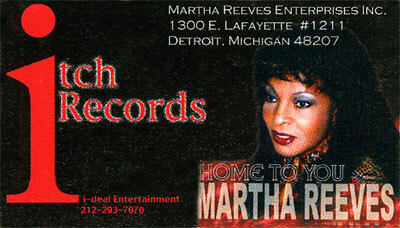 Showtime is @ 8 p.m. Martha will open with her rousing hit single "I'm Ready For Love"! The finale is always and appropriately "Dancing In The Street". There shall be a "Live Wire" reunion get2gether with Miss Martha Reeves backstage after the show! The website of Miss Martha Reeves includes her concert tour schedule! "Come And Get These Memories"! Martha Reeves's annual return engagement at this legendary and great dinner and perfect show venue is on Friday, January 24th @ 8 p.m. Doors open @ 6 p.m. to accommodate the dinner and drinks patrons prior to the show. "Get Ready For Love"! This literally incredible and complete collection goes from "I'll Have To Let Him Go" (A-side single) in 1962 to "I Want You Back" (B-side single) in 1972! Martha Reeves Portaryed on Broadway: "Motown The Musical"
The incredible all-American story of Motown and the colossal songbook of Motown has been considered as phenominal Broadway material for decades! Well, "MTM" finally arrived! Come and get these memories! 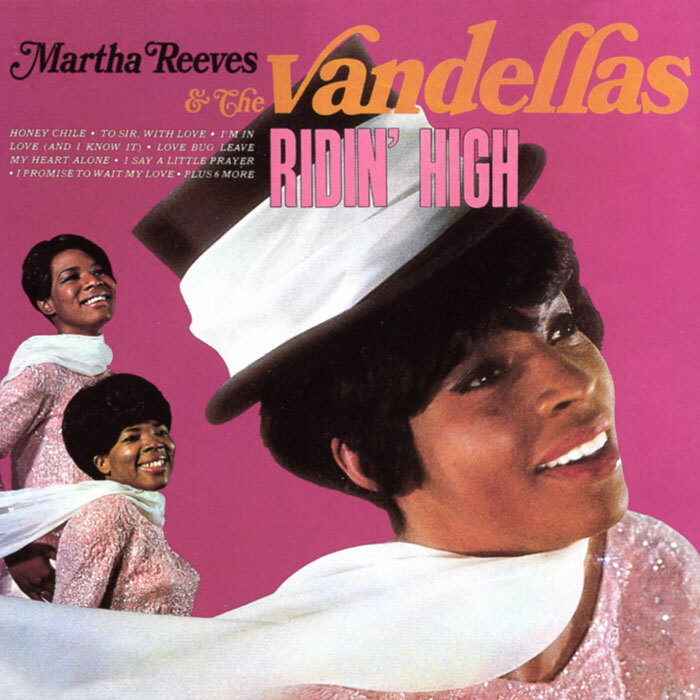 Martha Reeves & The Vandellas' #1 international hit song and dance anthem is, of course, in the Motown musical. It is given the big Broadway production treatment that it deserves. 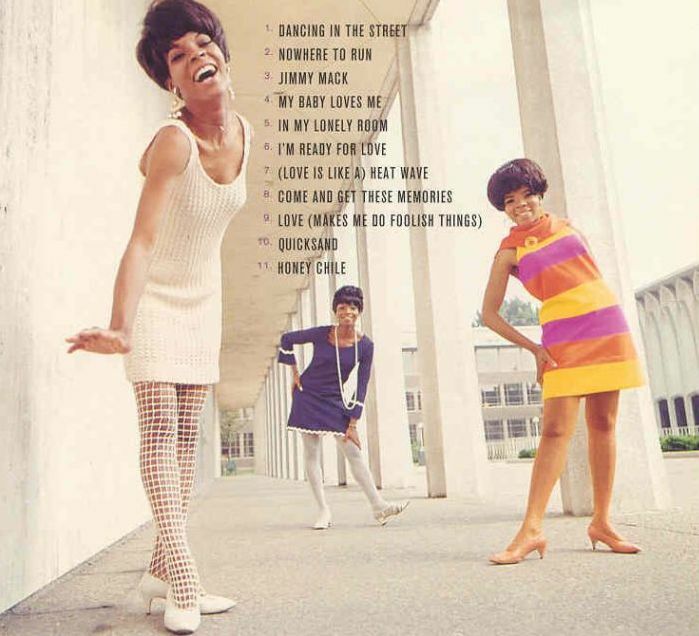 "Dancing In The Street", especially as performed by Miss Martha Reeves, is ultimate Motown! 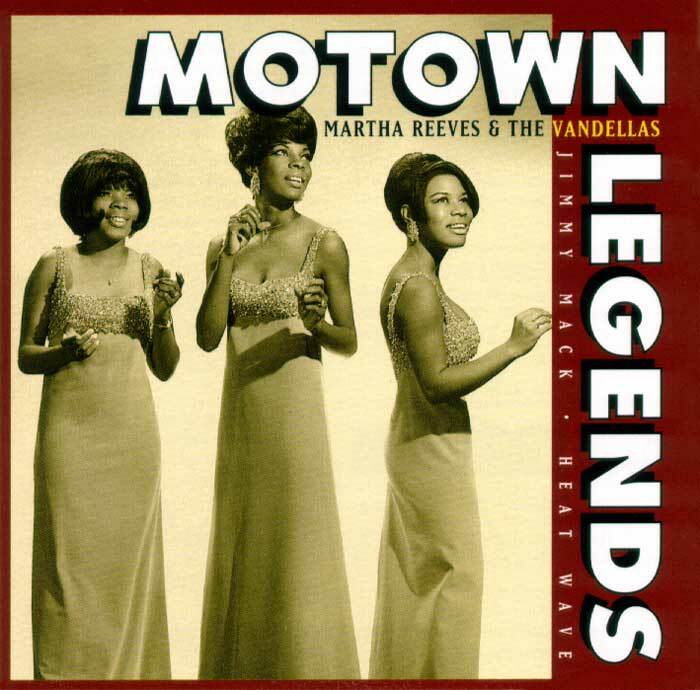 The song is recaptured to great satisfaction and as a living tribute to Martha in the musical "Motown". 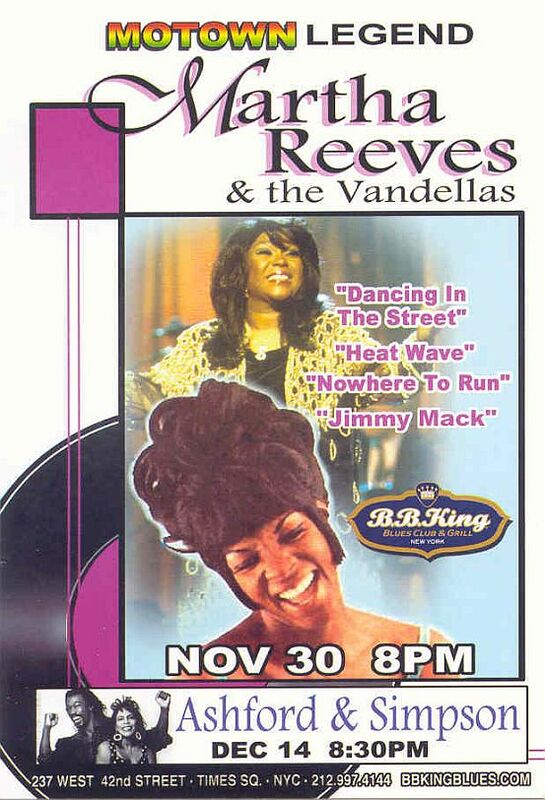 Sunday, December 30, 2012 @ 8 p.m.
Event>>>>> Martha Reeves: "Dancing With The Stars"
Appropriately, Martha Reeves opened the two-hour exciting "Dancing With The Stars" show with her international #1 hit song "Dancing In The Street"! That song is the anthem of Motown Records and it was ideal for a show about dancing! 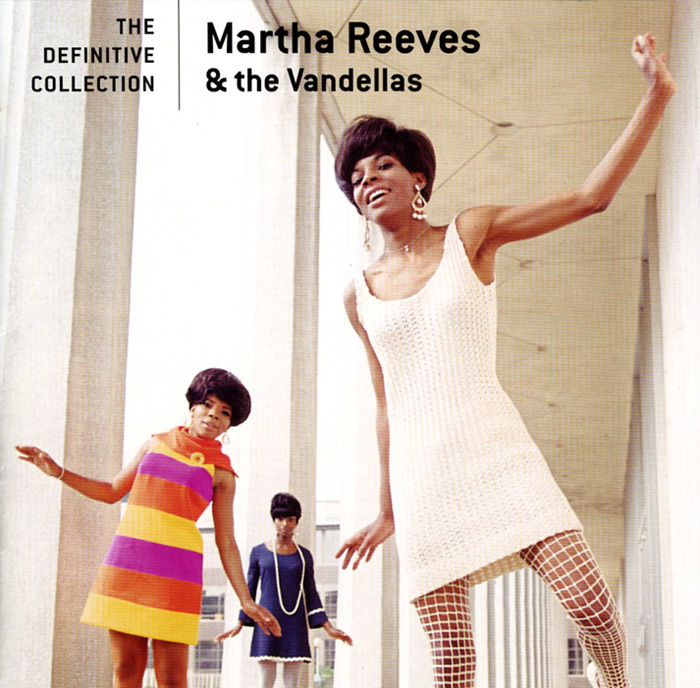 Martha looked Motown royalty in a full-length gown. 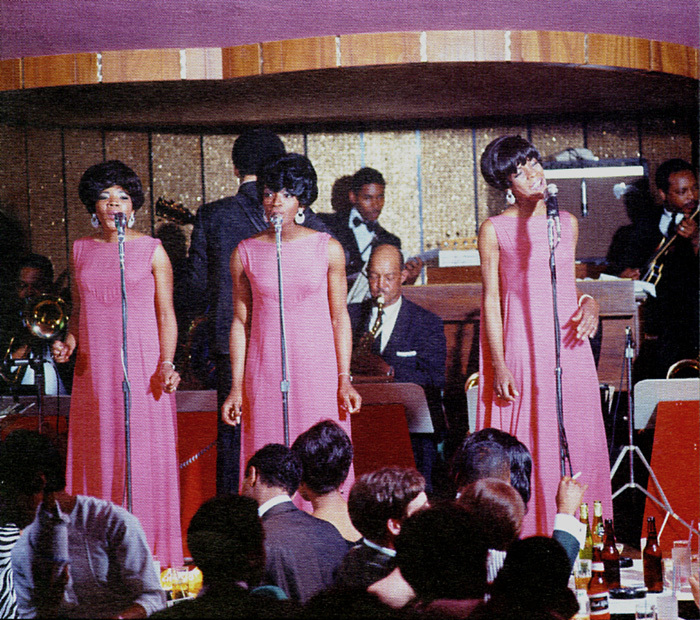 The opening also featured The Temptations performing "Get Ready" and Smokey Robinson singing "The Tracks Of My Tears". Tonight was "Motown Night" -- every dance was to a Motown song! Martha, later in the show, in a shimmering silver cocktail dress, performed a bouncy rendition of "Jimmy Mack" while a couple (Maria Menounos and Derek Hough) danced. Tonight, other Motown legends performing -- while a competing couple danced to the song -- were Smokey Robinson ("Cruisin'", "Ooo, Baby, Baby" and "Being With You") and The Temptations ("My Girl", "I Can't Get Next To U", "The Way You Do The Things You Do" and "Ain't Too Proud To Beg"). There was a surprise intro of a special front-row guest: Motown founder Mr. Berry Gordy, Jr. "DWTS" is the popular dance competition show with celebrity dance contestants paired with professional dancers. Ironically, one contestant was also a Motown legend: Gladys Knight! DWTS's "Night of Motown" concluded with a competitive dance elimination "Motown Marathon" set to Martha's "Nowhere To Run"! The show aired 'live' on ABC-TV on Monday, April 23rd with rave revues and high ratings! 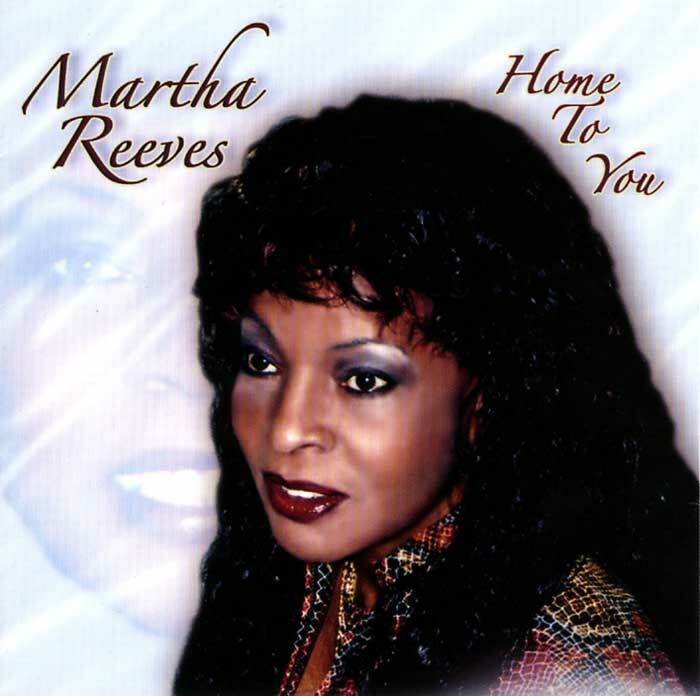 Martha Reeves performs her exciting new hit single "I'm Not Leaving" with The Crystal Method. They are backed by an all-star band comprised of horns from soul legends Tower of Power and rockers Darryl Jones of the Rolling Stones, Brain of Nine Inch Nails and Richie Fortus of Guns n' Roses. The backup singers include Louis Price, formerly of The Temptations. Don't miss it when Motown royal and rock royalty meet! The 'live' performance is on the popular "Jimmy Kimmel Show" on Friday night, March 30th at midnight EST (9 p.m. PT) on ABC-TV. 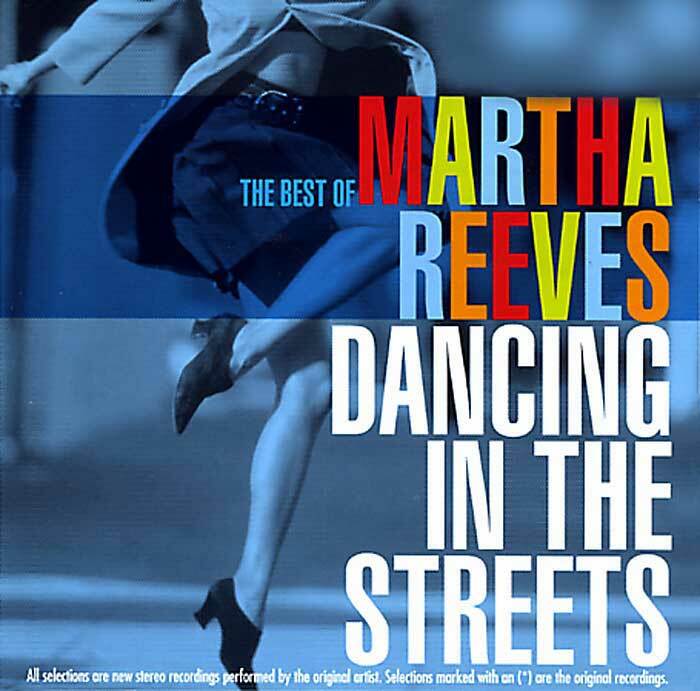 Included in this set are MRV's #1 "Heat Wave" and #1 "Dancing In The Street" and in the bonus third compact disc, the MRV cover versions, Martha performs "I Say A Little Prayer". 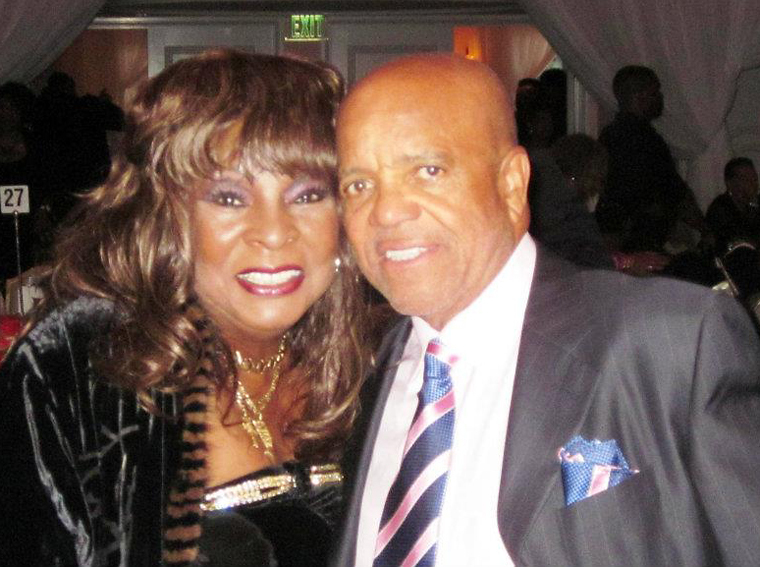 Martha Reeves and Berry Gordy, Jr. Continuing the commemoration of the 50th anniverasary of Motown Records, the U.S. President Barack held a "Tribute to the Motown Performers" at The White House in Washington, District of Columbia (DC), on Thursday, February 24th. 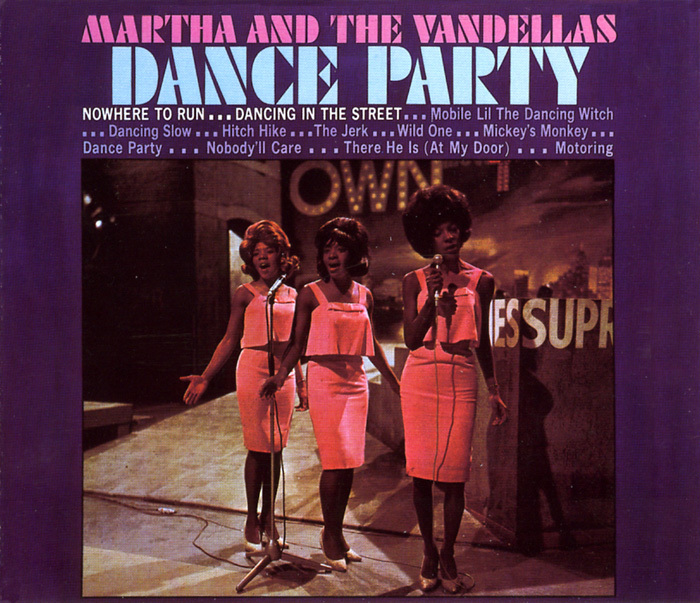 As a special legendary Motown guest of honor in the front row, Miss Martha was demanded on stage to sing on the tribute to her blockbuster hit "Dancing in The Street". 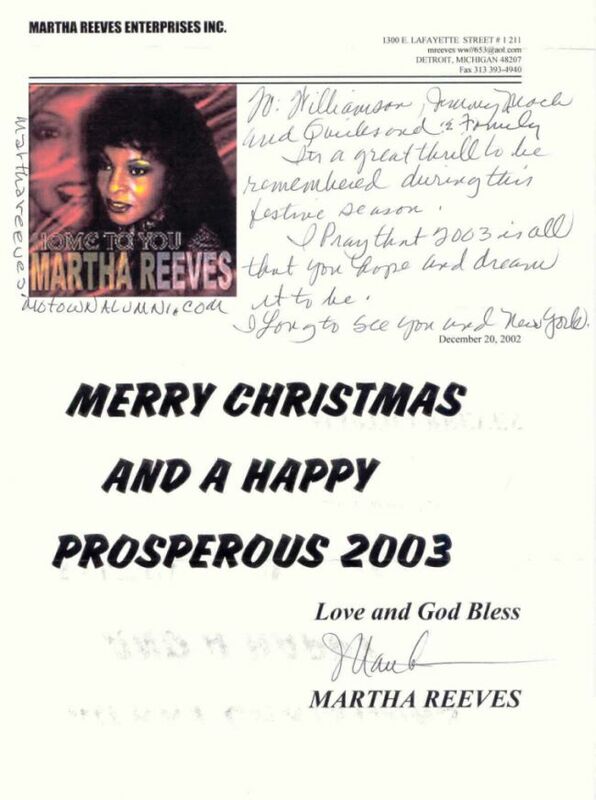 President Barack personally thanked "Miss Martha Reeves"! 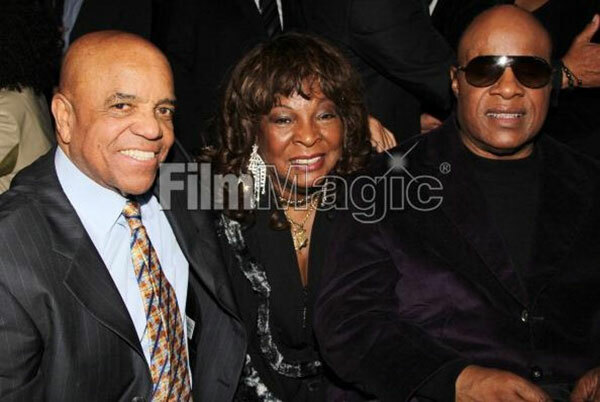 The chief three original Motowners for the televised on Public Broadcasting System (PBS) event were Smokey Robinson, Martha Reeves and Stevie Wonder. 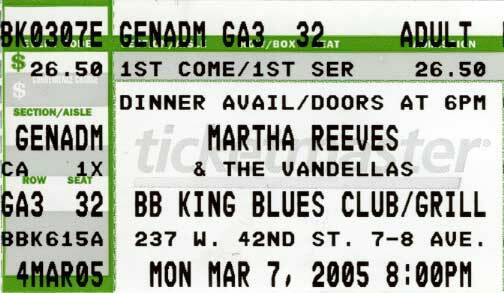 >>> Event: Martha Reeves & The Vandellas return to New York City!!! 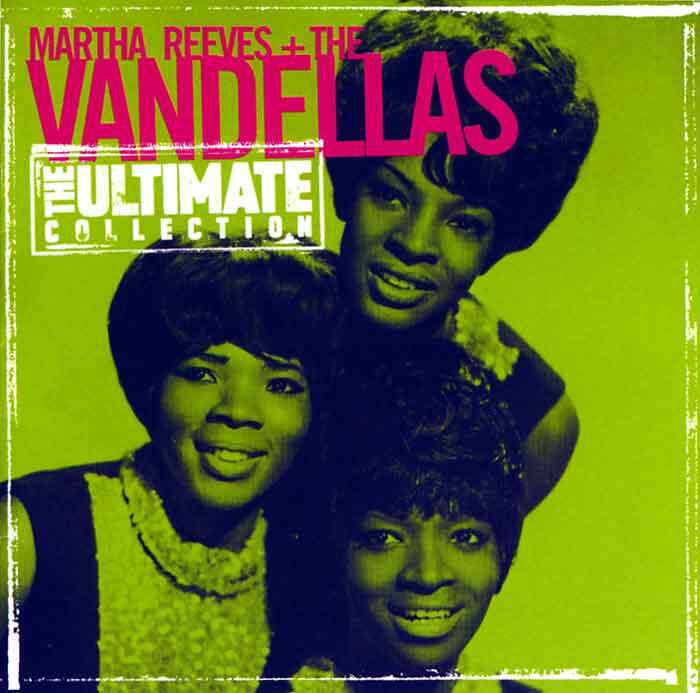 >>> Event: Martha Reeves & The Vandellas in Ireland! and Tommy James & The Shondells in Concert!!! Thursday, December 18, 2008 @ 8 p.m.
:Martha is dedicating her part of the show to "The Top of The Tops" -- the late and great Levi Stubbs! versions namely "Forever", "Contract On Love" and "The Tracks Of My Tears". 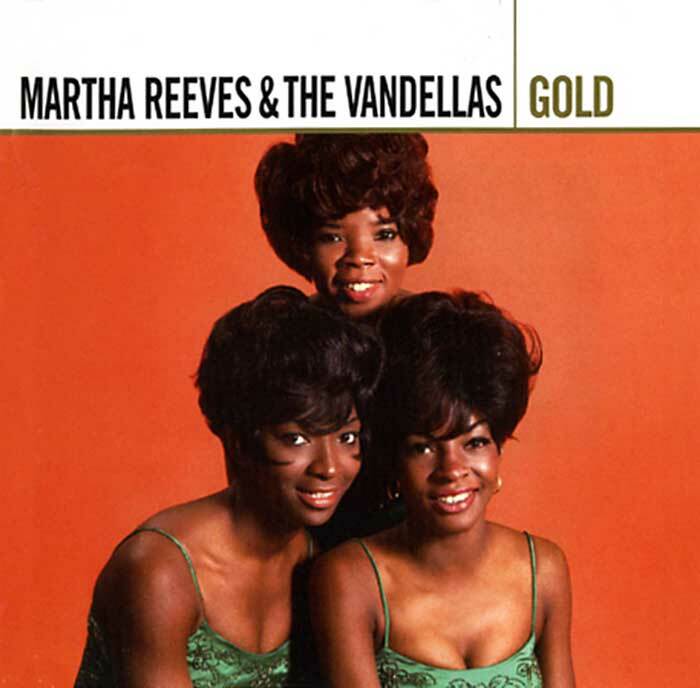 including "Songs of The Stonewall"
"Right-on" to Motown Records for timely issuing "GOLD", an expanded anthology of Martha Reeves & The Vandellas. This double compact disc collection has over forty songs, including all of the MRV single-release songs on Motown's Gordy record label and a healthy sampling of their popular flipside songs. "Songs of The Stonewall" included in this set are the perennial favorites "Heatwave" and "Dancing In The Street", which appeared, respectively, in The Stonewall Club's jukebox, for a month or so each, every summer. The regular Stonewall Era songs digitally-remastered in these two c/d's include: "My Baby Loves Me" and "I'm Ready For Love" from 1966; "Jimmy Mack", "Love Bug Leave My Heart Alone" and its popular 'B' side "One Way Out" from 1967; "Honey Chile", its flipside "Show Me The Way To Your Heart", "I Promise To Wait My Love" and its 2-sided hit "Forget Me Not" all from 1968; and "We've Got Honey Love" and "Taking My Love And Leaving Me" from 1969. The MRV flipside record songs include the finger-snapping, line-dancing, Gay-marriage themed "Third Finger, Left Hand" and the fast-paced, hard-dancing "One Way Out" from 1967 and "Show Me The Way To Your Heart" and "Forget Me Not" from 1968. All were flipside hits at The Stonewall. 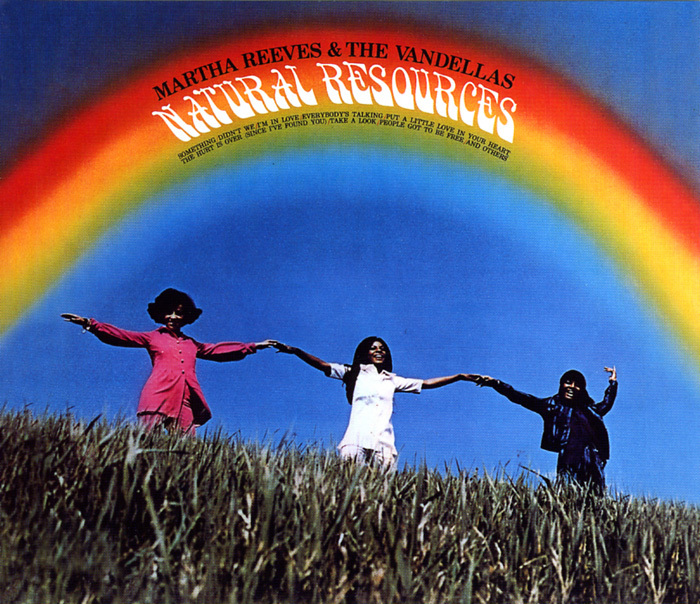 The collection is expanded with its hot handful sampling of post-MRV single songs of a solo Martha Reeves. 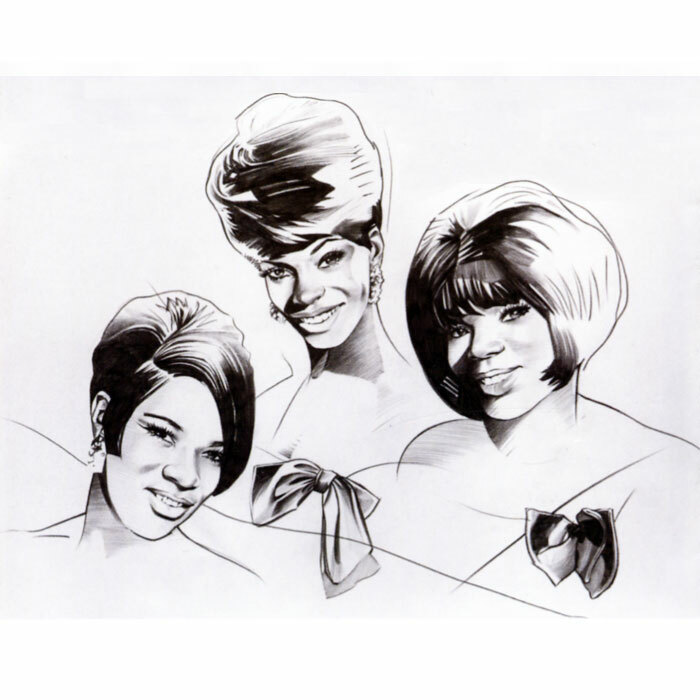 Manhattan * New York * U.S.A.
Day/date/time: Monday, March 8th, 2005 @ 9 p.m.
Special Guests: Arlene Smith of The Chantels, original Girl Group members of The Crystals, The Exciters and The Toys, plus N.Y.C. 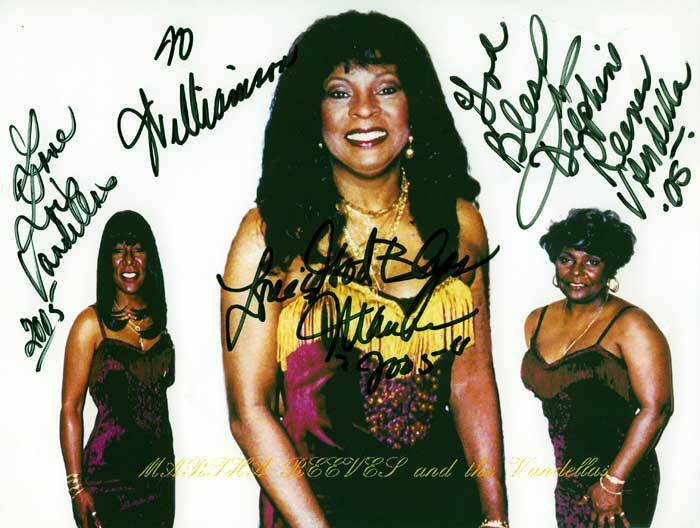 music legend (in her own mind) Royal Jones, former MRV Fan Club President Williamson Henderson, Girl Groups promoter Thomas Ingrassia, S.M.V. Girl Groups Fan Club President Frances Baugh, N.Y.C. District Leader Eddie Baca, Eric Carter of Detroit (MRV Tour Manager), Ace Lichtenstein (MRV Manager), Dundifer Holt (MRV Assistant Manager) and officials of the STONEWALL Veterans' Association and the Imperial QUEENS & Kings of Greater New York, among many others. 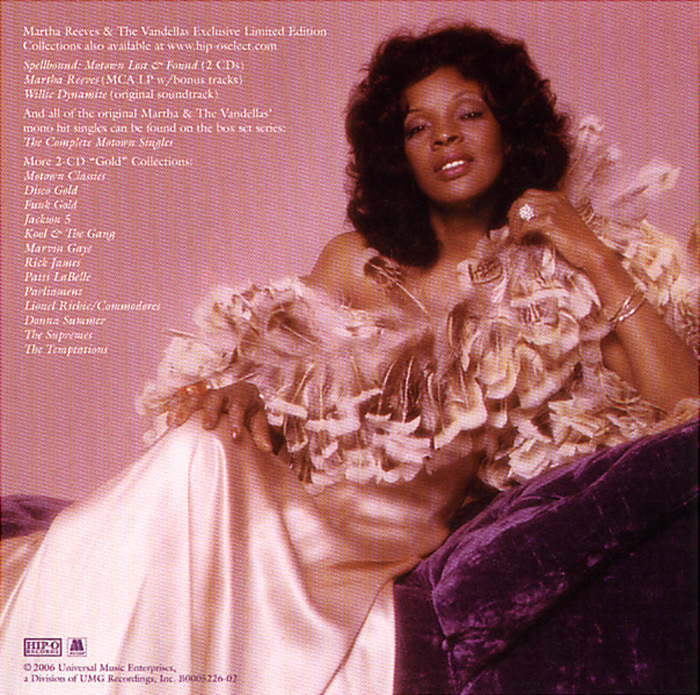 * "I'm Ready For Love"
* "Come And Get These Memories"
* "Love Makes Me Do Foolish Things"
* "The Boy From Ipanema"
* "Dancing In The Street"
A long-sought, much-anticipated collection of an overwhelming majority of never-before released gems and a handful of real rarities by Miss Martha Reeves and her vandalous Vandellas! 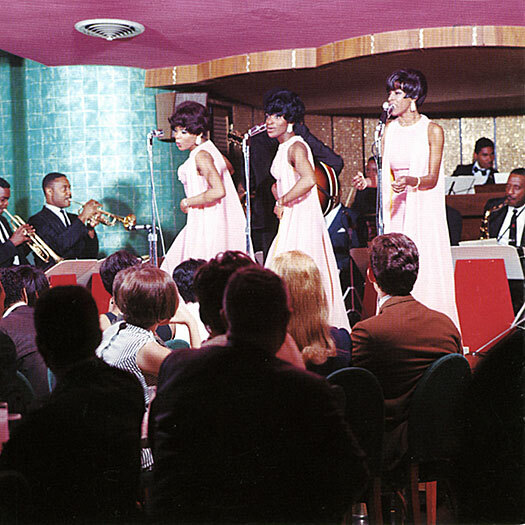 The timeframe spans their legendary dozen golden years at Motown Records. The songlist includes: "Spellbound" (would have been a hit single), "All That Glitters Isn't Gold", "Coney Island" (as in Brooklyn), "It's Your Wedding Day", "Keep Stepping (Never Look Back)", "For Once In My Life" (the Motown standard), "Candy Man", "It Must Be Him" (a 1967 especially Gay favorite hit song by Vicki Carr), "Standing Ovation", "You Neglect Me", and the now (tsunami) ironically titled "Earthquake"! A few other M.R.V. jewels from the Motown vaults -- "Contract On Love", "Forever" and "The Tracks Of My Tears" -- which no doubt would have been included here on M.R.V. 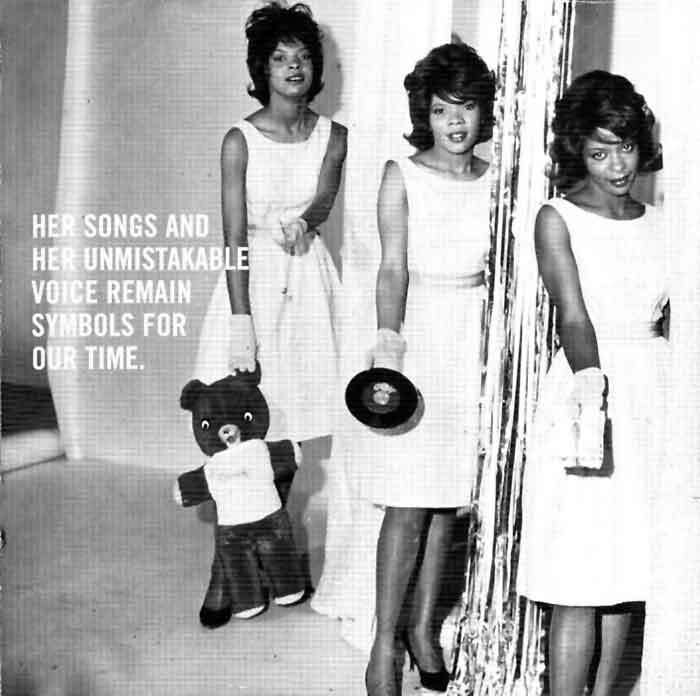 's "Lost And Found" were rather represented on the other new 2-c/d vintage collection entitled "Motown Sings Motown Treasures". Another M.R.V. gem "(It's Easy To Fall In Love) With A Boy Like You" would also have been included; however, it found a much greener pasture as a featured song in the Will Smith blockbuster movie "Hitch!" Miss Martha Reeves pensively pictured "Home-2-Us"
"The Black Rose"'s eleven songs have nine written or co-written by the singer and album producer Martha Reeves herself. The tenth song is the jazzy re-working of one of her classic Motown "Top Ten" dance songs, "Jimmy Mack", written by the legendary Holland-Dozier-Holland. So, you can say that all these years later, Martha is still looking for Jimmy at The Stonewall Club -- and a lot of other Gay clubs! Speaking of legends, the eleventh song is written by the legendary songstress Billie Holiday, who was the first to popularize the herein inspirational "God Bless The Child (Who's Got His Own)". Dundee Holt, Jason Abrams, Scott Taylor (from D.C.), et al. and members of the S.V.A. * "Ode To Billie Joe"
* "Take It To The River"
* "Ain't That A Kick In The Head?" 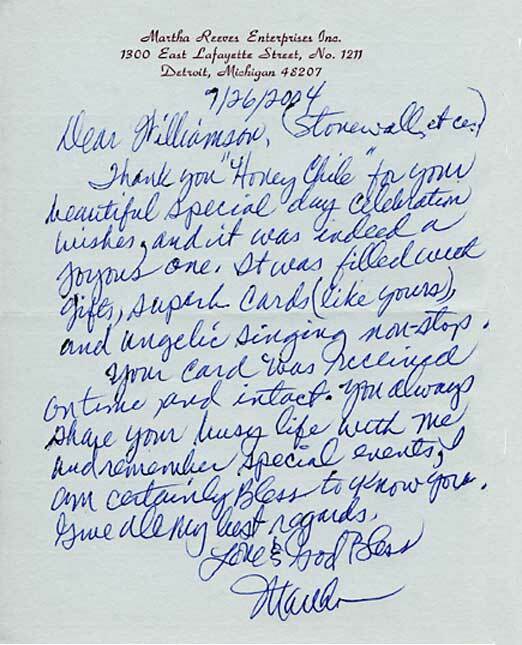 * "Thank U For Lettin' Me B Myself Again"
- From the stage: Martha's acknowledgment of America's STONEWALL Veterans' Association! a. "The Boy From Ipanema"
d. "Quiet Nights Of Quiet Stars"
17. Encore: "Dancing In The Street"
Watchout! Up front pic, that's movin' Motown Martha Reeves from 1967! But, "Who's That Lady" (rather heavy) in the back? Not our Miss Reeves! OMG! 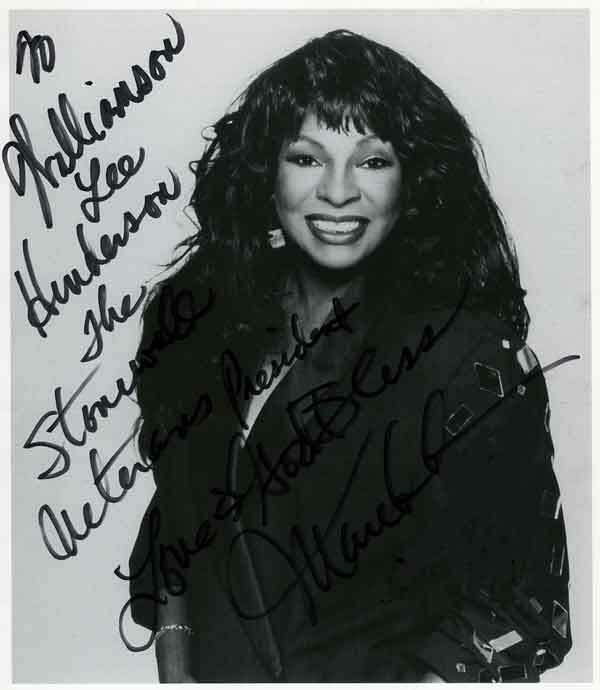 It's Shoiley Owens-Alston-Reeves, formerly of The Shirelles!? Proofreaders Unlimited's Williamson Henderson always said from day one that Shoiley's unnecessary name addition of "Reeves" would eventually cause confusion (which some suspect is maybe why Shoiley added it)! But this was the worst scenario: some totally unknowledgeable neophyte reaching into a messy file jacket in the basement office at B.B. King's Nightclub and snatching the wrong "Reeves" photo -- never consulting with anyone -- and then uh-oh publishing it! It was Shirley Alston not Martha Reeves! 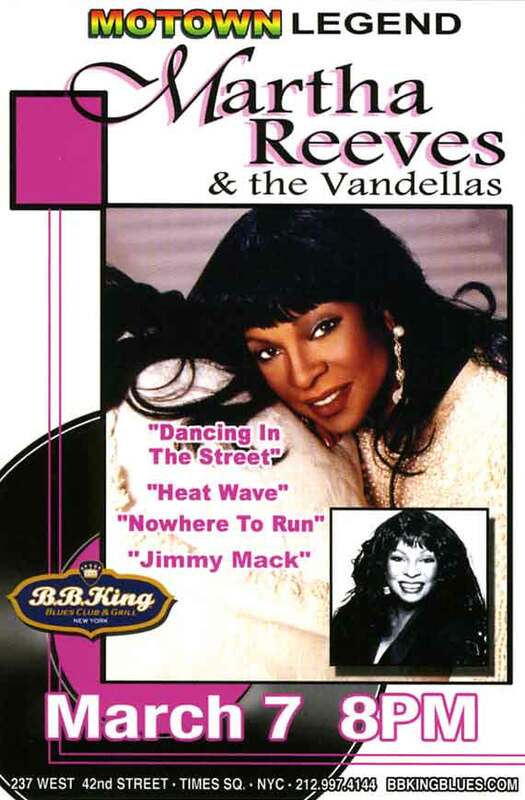 -- and two of his MRV songs-named cats: "Jimmy Mack" and "Quicksand"
Besides prominent Vandellas' hit songs such as "Heat Wave", "Dancing In The Street" (notice with no "s"), "Nowhere To Run" and "Jimmy Mack", this compact disc also includes interesting re-workings of The Supremes' "Come See About Me", The Tempts' "Get Ready", Gladys Knight's "I Heard It Through The Grapevine", The Tops' "It's The Same Old Song" and Dionne's "I Say A Little Prayer" -- all original hit songs at The Stonewall and everywhere else! 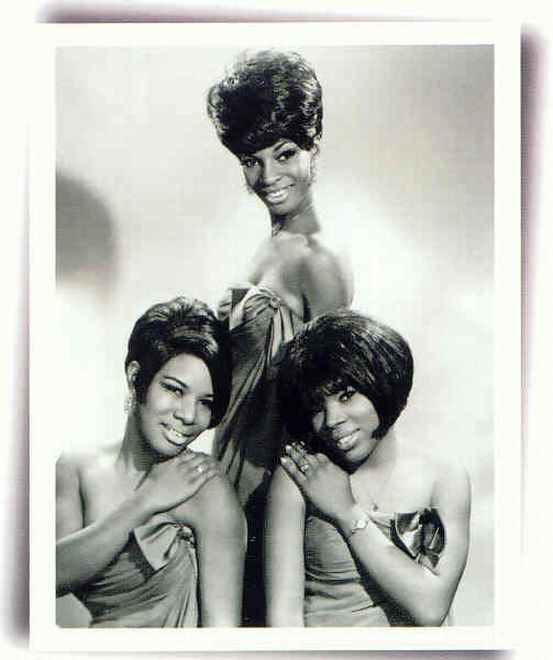 MRV Milestone: Martha Reeves & The Vandellas (Annette, Roz and Betty) inducted into the Rock 'n' Roll Music Hall-of-Fame!!!! 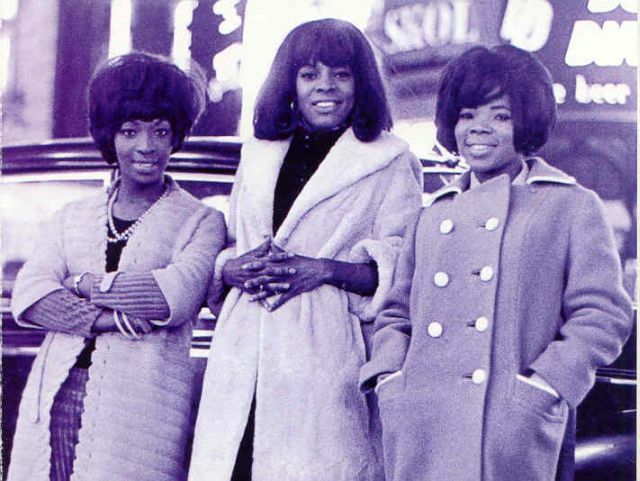 Martha Reeves' Autobiography: "Dancing In The Street: Confessions Of A Motown Diva"
MRV Milestone: Martha Reeves & The Vandellas (Annette, Roz, Betty and Lois) inducted into the Rhythm & Blues (R&B) Hall of Fame!!! 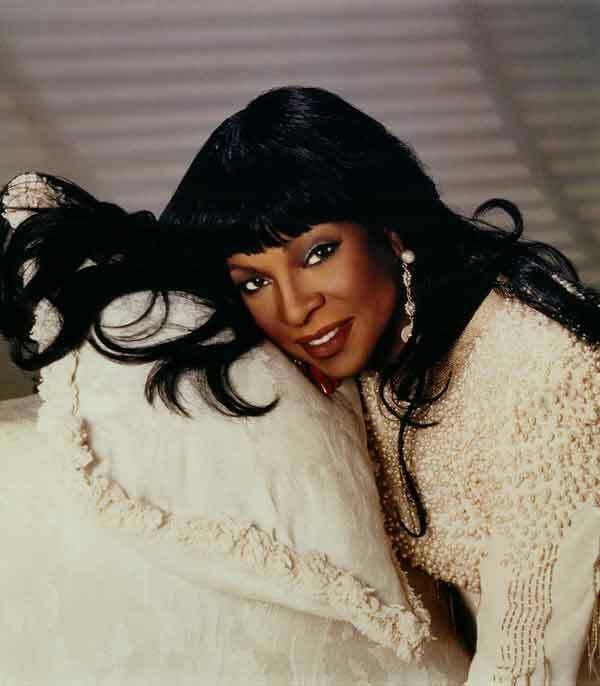 * "Step In My Shoes"
Martha Reeves solo is featured singing "Heat Wave" on the critically-acclaimed "Motown 25 Anniversary" television special! 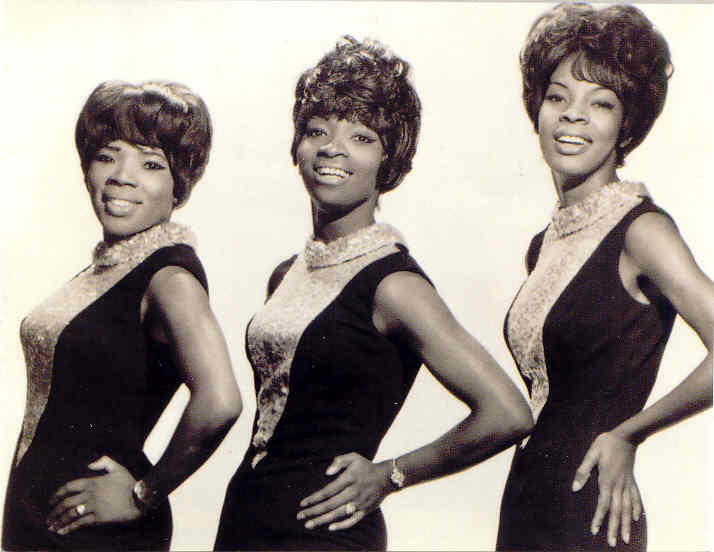 Martha Reeves & The Vandellas ("MRV") the group were shown multiple times in archival film footage and promotional photographs during the popular telecast. 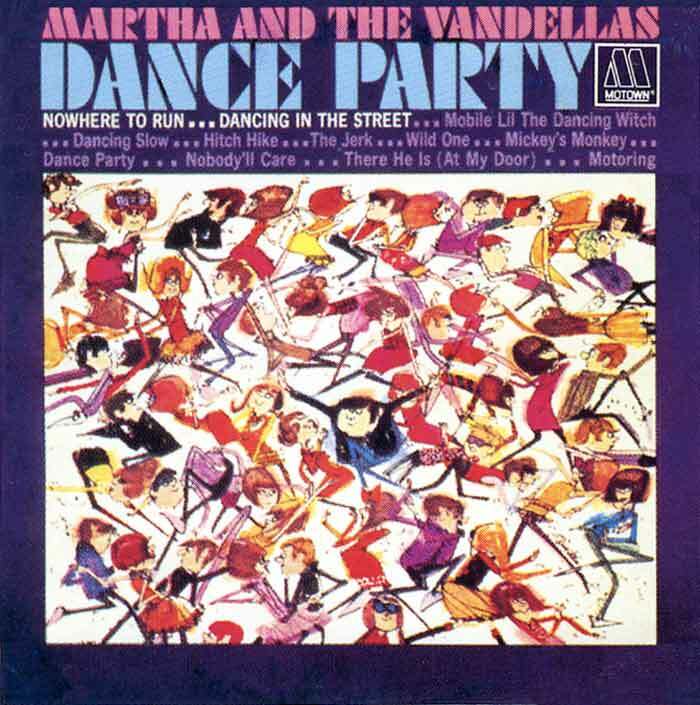 The show's big opening dance production number was the Motown anthem, "Dancing In The Street". This was the #1 song popularized by M.R.V. nearly 20 years prior to this event. In addition to the hot performance by Miss Reeves, other performers included: Diana Ross, Michael Jackson, The Temptations, Marvin Gaye, The Four Tops, Stevie Wonder, Mary Wells, Smokey Robinson, The Commodores, Jr. Walker and DeBarge. 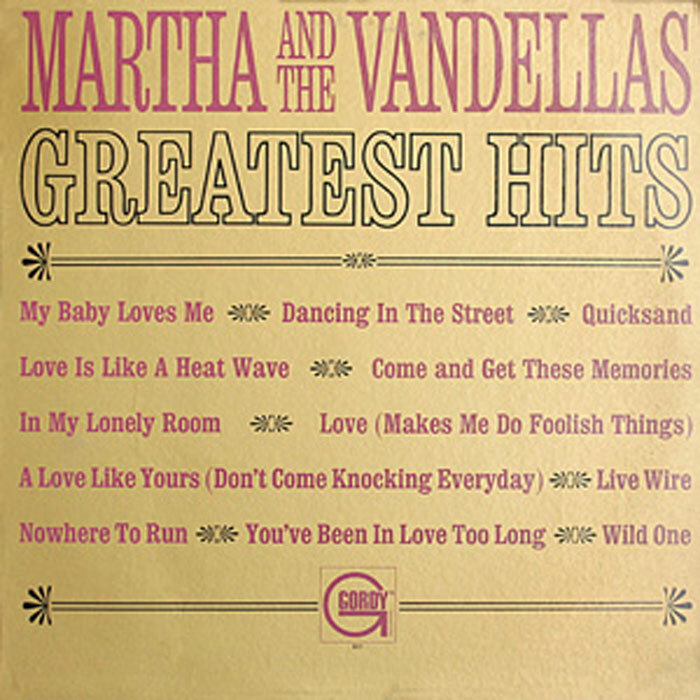 * "Skating In The Streets"
* "This Time I'll Be Sweeter"
* "(I Want To Be With You) The Rest Of My Life"
* "(Your Love Keeps Lifting Me) Higher And Higher"
* "My Man (You've Changed My Tune)"
Note: This is the C/D promo photo not actual original album cover! * "Bless You (Bless Me)"
* "In And Out Of My Life"
Note: You can imagine how much the Gay Stonewall vets love 'the rainbow'! * "I Should Be Proud"
* " I Gotta Let You Go"
* "Honey Chile" =b/w= "Show Me The Way To Your Heart"
* "I Promise To Wait My Love" =back/with= "Forget Me Not"
* "I Can't Dance To That Music You're Playin'" =b/w= "I Tried!" 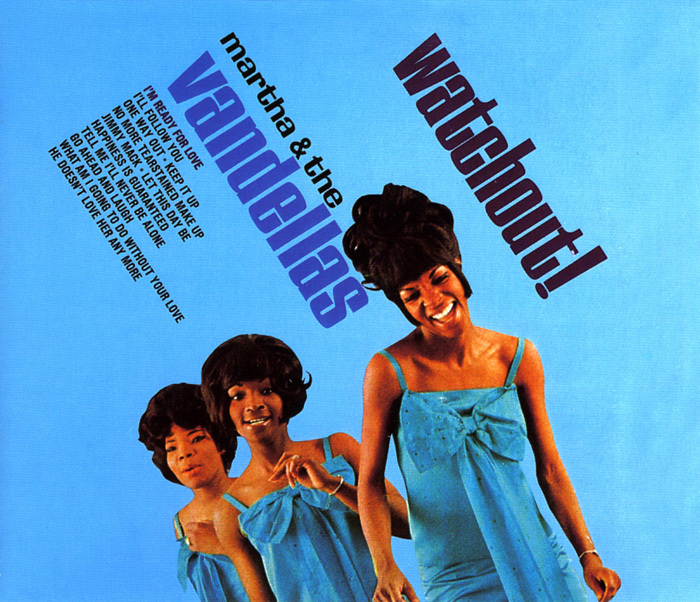 Martha & The Vandellas: Watchout! 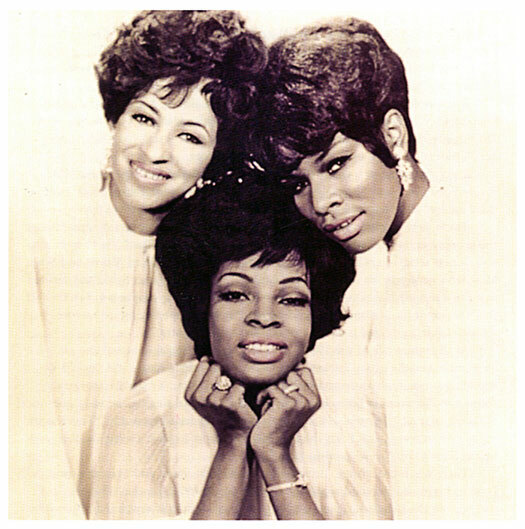 * "Love Bug, Leave My Heart Alone" =b/w= "One Way Out"
Martha & The Vandellas: Live! * "What Am I Gonna Do Without Your Love?" 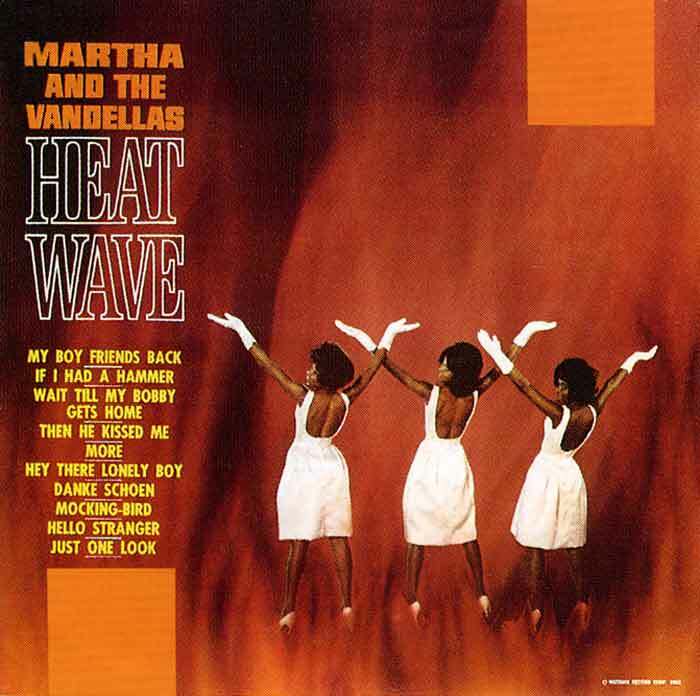 =b/w= "Go Ahead And Laugh"
Commercially correct and respectful cover: showing Martha & The Vandellas!!! 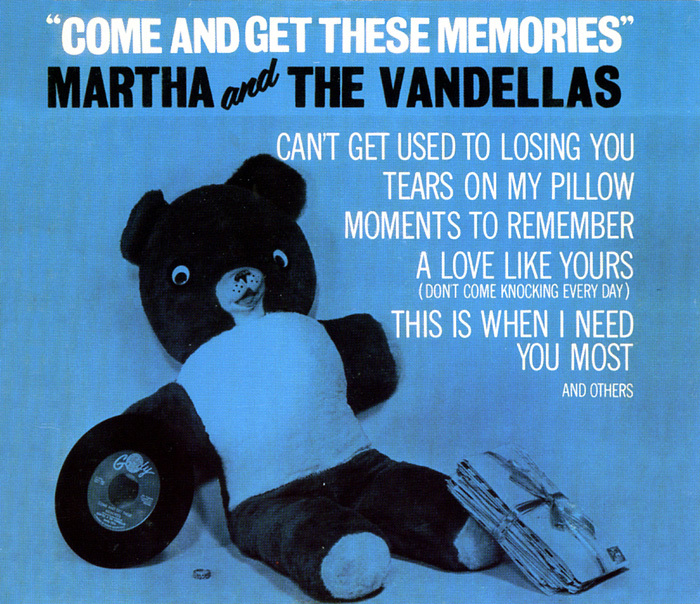 * "You've Been In Love Too Long"
Great artisitc cover but..... where are The Vandellas??? * "Live Wire" =b/w= "Old Love (Let's Try Again)"
* "In My Lonely Room"
* "A Love Like Yours (Don't Come Knocking Every Day)"
* "Quicksand" =b/w= "Darling, I Hum Our Song"
* "I'll Have To Let Him Go"
Come And Get These Memories: Martha Reeves with that big "old Teddy bear" that he won for her at the state fair in one hand and the "old friendship ring" in the other hand; Rosalind Ashford with her "old favorite record" -- a MRV record on the Gordy label; and Annette Sterling with his "old love letters" and some "old Valentine cards"!!! Note: The S.V.A. 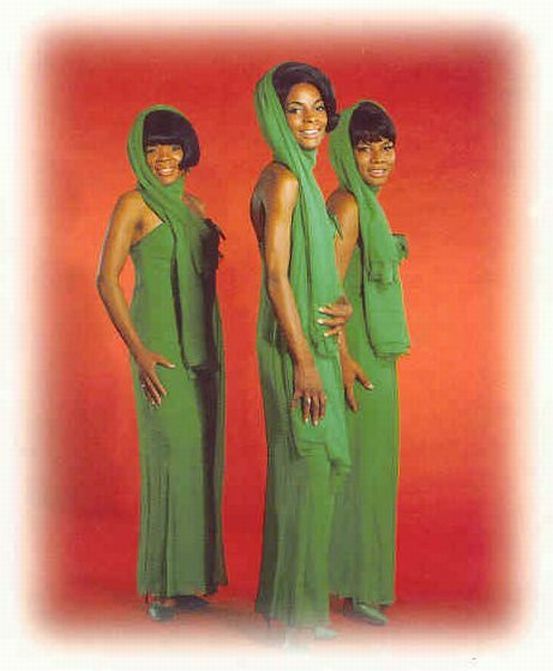 periodically conducts surveys of favourite records of original Stonewall Club artists such as Martha Reeves & The Vandellas ("MRV"). Updates of choices are then posted with any position changes to the existing MRV favourite song survey. The S.V.A. never sells, trades or rents its private email list! earns, needs and appreciates your support! "Touch" the above button to participate donating via secure PayPal. 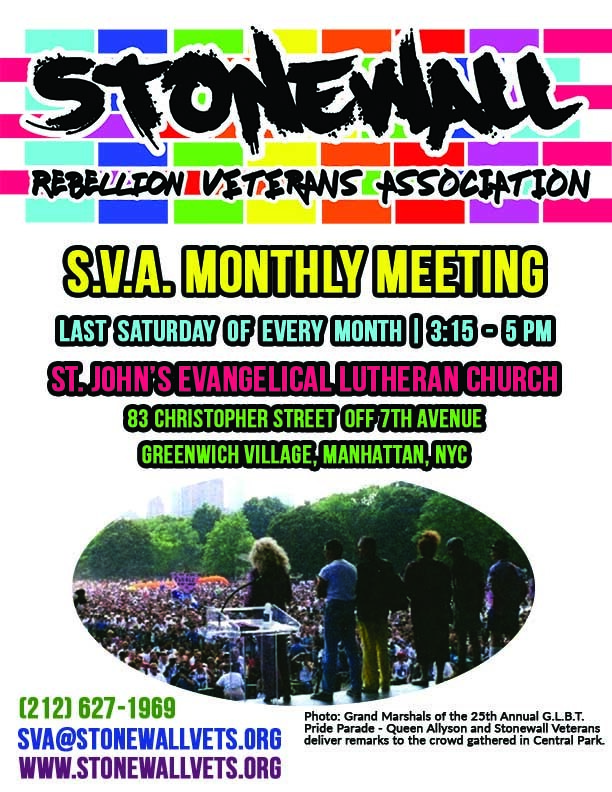 STONEWALL Veterans' Association has the highest level of validation and security. You can download the S.V.A. support form at SVA Mainpage and mail it to the S.V.A. 1969 "Song of The Original Stonewall Club Jukebox"
2019: 50th Anniversary of the historic Stonewall Rebellion in New York City!